1605353892 -A comprehensive introduction to vascular plant phylogeny, the fourth edition of Plant Systematics reflects changes in the circumscription of several families in order to represent monophyletic groups, following the classification of the Angiosperm Phylogeny Group (and recent phylogenetic analyses). Appendices cover botanical nomenclature as well as field and herbarium methodology. The text is copiously illustrated, using in large part the informative analytical drawings developed as part of the Generic Flora of the Southeastern United States project. 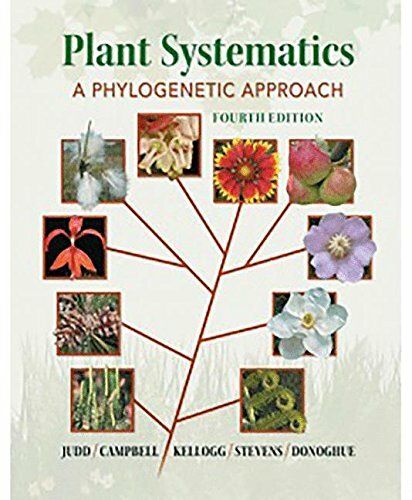 Plant Systematics: A Phylogenetic Approach, Fourth Edition, is appropriate for any course devoted to the systematics of angiosperms or vascular plants and, secondarily, for local flora courses. The text assumes no prerequisites other than introductory botany or biology. The Photo Gallery of Vascular Plants has been greatly expanded for the fourth edition of Plant Systematics, and is now available online. Over 9,700 color photos illustrating the diagnostic characters of (and variability within) the vascular plant families covered in the text, including many images showing floral and fruit dissections, are now included in the site. The Photo Gallery also includes an illustrated glossary of plant terminology. Each new textbook includes an access code for the site, and access may also be purchased separately. The Plant Systematics Instructor’s Resource Library includes a collection of visual resources from the textbook for use in preparing lectures and other course materials. The textbook figures have all been sized and formatted for optimal legibility when projected. The IRL includes all textbook figures, tables, and floral formulas in JPEG (both high- and low-resolution) and PowerPoint formats.